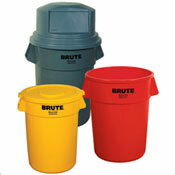 A full line of trash cans and liners to meet industry’s requirements in all office, food-handling and manufacturing applications for use both indoors and outdoors. 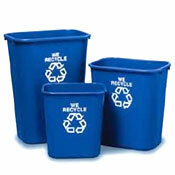 Leaking liquids in industrial trash is one of the most difficult problems in manufacturing and distributing operations. When liquids leak, time and money are lost; cleanup must be rapid because of the danger of accidents and disrupted operations. 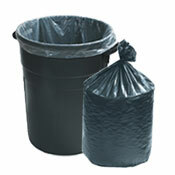 Therefore, liners with star-seal bottoms should be used, because they contain liquids better than liners with flat bottoms. 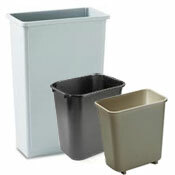 Our trash cans and other waste receptacles are made from the strongest extruded plastic or the highest quality sheet steel. 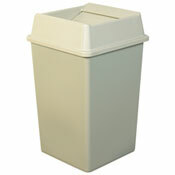 Receptacles, manufactured by the leaders in their field, like Howard, Rubbermaid and United Receptacle, are available in sizes from 10 quarts to 55 gallons. 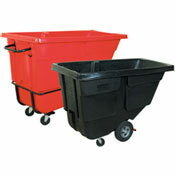 Liners, manufactured from high-quality blended resins for superior strength and puncture resistance, are available in sizes from 10 quarts to 55 gallons in clear, black, beige and red.